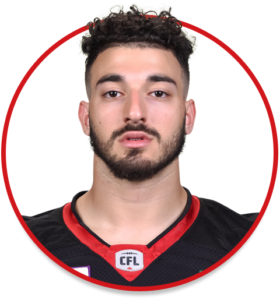 Anthony Cioffi is a defensive back currently playing for the Ottawa REDBLACKS. Cioffi was a four-year starter at Rutgers University where he was known for his speed. He signed with the Oakland Raiders as an undrafted free agent in 2017. During his four years at Rutgers, Anthony gathered a combined total of 169 tackles, 8 interceptions and 3 forced fumbles. In 2012, Cioffi ran track for his High School and won the 100 meter dash state championship with a time of 10.86 seconds.